Erica x stuartii is also known as Praeger's heath. 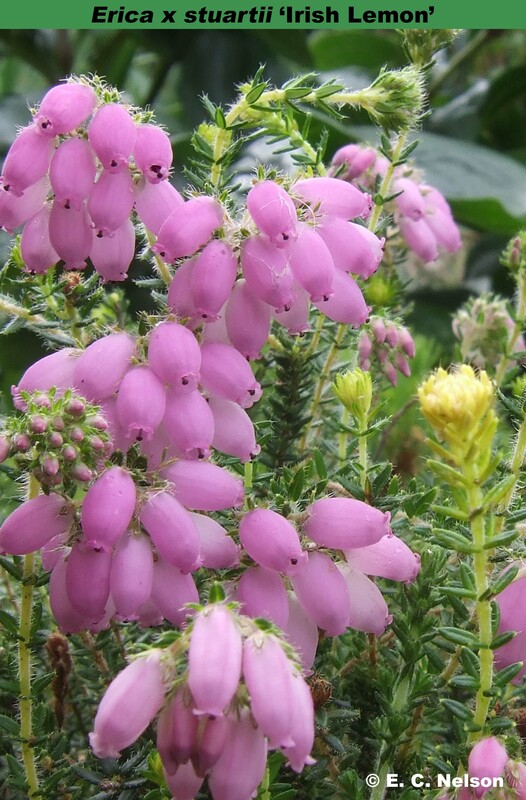 It is a naturally occurring hybrid between Mackay's heath (Erica mackayana) and cross-leaved heath (Erica tetralix) which has been known for a long time from Connemara and Donegal but also occurs in Kerry and has recently been reported from northern Spain. Its habit and cultural requirements are similar to those for the Irish clones of Mackay's heath. All the named cultivars exhibit brightly coloured spring growth and are suitable for hardiness zone 7. One of the Recommended Heathers for your garden.